This week it was the annual book sale at my local library, where all the libraries in the county send their old/unwanted books to the central branch to be sold to the public. It's a funny kind of sale - well-publicised, but only tends to attract a handful of 30-or-so buyers who are willing to queue, and the odd passer-by during the day. Of the dedicated queuers, most are re-sellers, and come prepared with empty suitcases and rucksacks. At 50p per book there are some bargains to be had, and I suppose that might explain the hideous, undignified behaviour of some buyers. I hope I never lower myself to elbow and bicker my way to a 50p bargain book. That said, there are some lovely and interesting people there, too. OK, so here's some of my book sale finds. 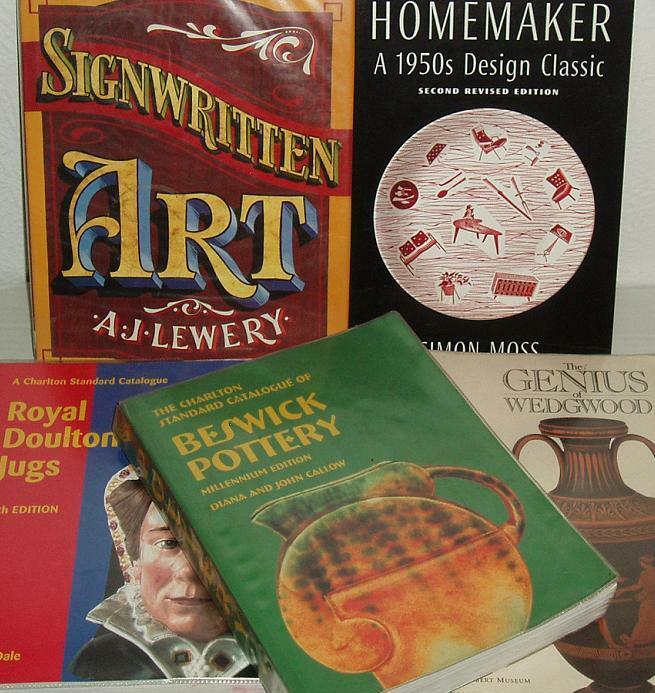 The three pottery catalogues at the bottom of the picture are for re-sale. I hope there are some collectors out there who will want them. 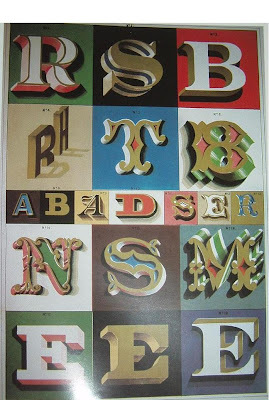 The two at the top are my own absolute favourites - the "Signwritten Art" book is just beautiful, the illustrations would make fantastic posters, just look at those Victorian fonts in the top (not very good, but was trying not to break the spine of the book) photo! The "Homemaker - A 1950s Design Classic" book just jumped out at me from a box under a table (while all the bad people were elbowing above me!). It's brand new, has had a library label stuck inside it but clearly never made the shelves. That's the thing that kind of upsets/annoys me about these sales. I have had some incredible bargains over the years, but a lot of those are books that have been labelled for the shelves and then just stuck in a box until the sale. As a buyer, that pleases me greatly. As a Council Tax payer that incenses me. What a waste of council money that could be spent on essential services. Not so much charity shop thrifting this week due to other demands on my time, but I did find these vintage curtains. 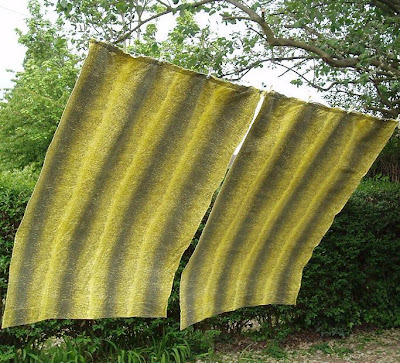 I'm pretty sure they are 100% cotton, medium-heavy and slightly textured - not sure if that is barkcloth? I love the colour, and it fits in with my decor, but they are too long for the windows where I would use them. Seems a shame to cut them, so maybe I'll try them on ebay first. Those curtains were a bargain...They look a lot like barkcloth. I won some vintage curtains on ebay this week...waiting for them to arrive, can't wait! Sounds wonderful - and I love your choices. 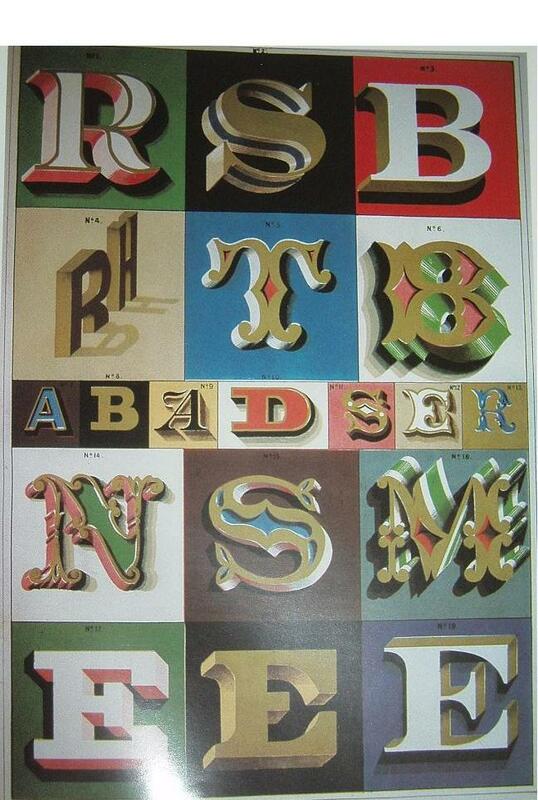 I collect Homemaker and the graphics in that signwriting book are indeed gorgeous. It was the scanned picture you used to link on Apron Thrift Girl which brought me to your blog.